Allison graduated from Stephen F. Austin State University with a Bachelor of Fine Arts degree in Theatre. Wanting to make sure she wasn’t going to be a starving artist while pursuing theatre, Allison took up trading options after seeing her father successfully do the same. What started as an experiment with a paper trading account quickly grew into a passion. 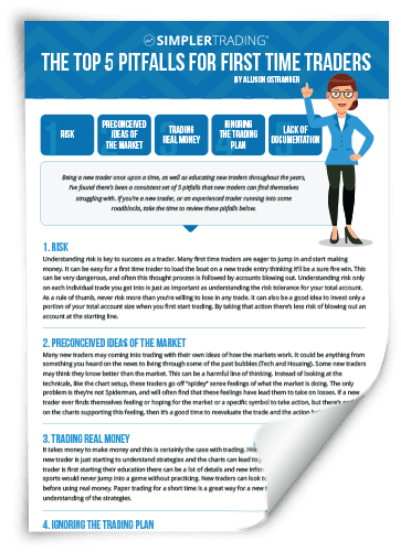 She decided to pursue trading full time, and invested in personal coaching classes, where she was so successful that she made back her investment in her first trade! After that, there was no looking back. Her success with trading continued, and even during volatile times in the market when industrial and retail traders found themselves with losses, Allison continued locking in profits. 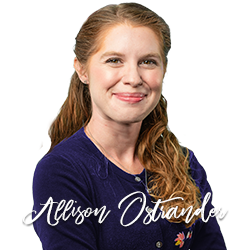 Fast forward to today, Allison has become an integral part of the Simpler Trading family, where she continues to grow as a trader and share her near-decade of options trading experience and knowledge within our community. Her experience in not only trading, but teaching others how to trade, shines through in her videos and blog posts. She has experienced and seen other traders go through the ups and downs of trading. Her goal is to help traders minimize the downs, so their ups can outshine in their account. Allison is able to explain complex trading strategies and chart patterns with ease for both beginners and advanced traders. Her unique view of how to look at Capital Risk, the Chart, and the Option Chain can give any trader a new perspective on investing. For those who have trouble with position sizing, chart reading, or options trading, Allison’s Recycling Risk sessions are a “must watch.” You can often find her participating in the Options Trading Room throughout the market day, or catch her outside of market hours teaching classes and hosting member webinars for the Simpler Community. 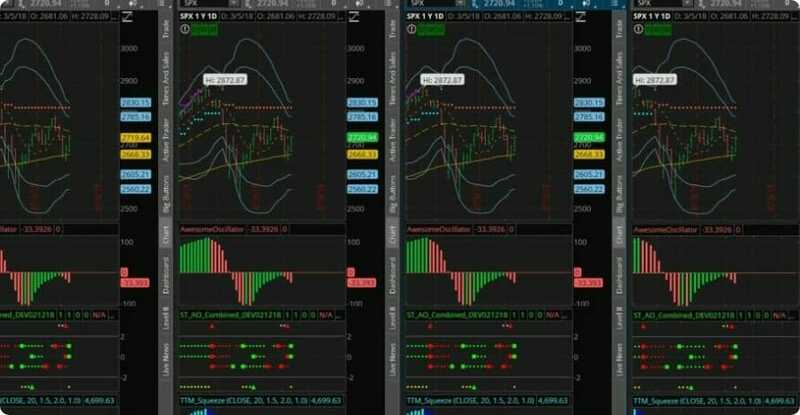 Allison’s chart setup includes all the studies and indicators she needs to effectively trade option swing trades, as well as the Recycling Risk strategy she trades on the intraday movements of the market. Want Allison's Top 5 Mistakes to Avoid? Enter your email below to get her "Top 5 Pitfalls for First Time Traders" checklist for FREE! Discover how to avoid making these common mistakes, so you create a road map to success. Free daily video newsletter included. How has the market has reacted to this news of Chinese tariffs? Allison discusses what makes gaming a big market and show how it's continually growing. Simpler Tech is a free service included in the Simpler Foundation membership. It’s designed to help eliminate technological hurdles we face as traders. As a trader, the chart is your road map, but sometimes it can be a confusing map to read. This is why traders look at different indicators and studies, to help identify times when the chart is entering a potential trade setup.